A few folks have pointed out that the character in the latest mystery screenshot is probably based on another Level 5 production called “The Another World“. The pics you see above are meant for the DS version of the game, but the announcement (from last September) also has a vague “a version for another platform is to be released as well”, which could very well be referring to this ROID system that Level 5 is opening up this June. 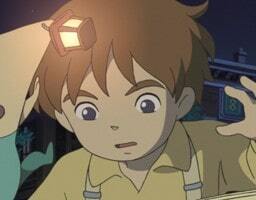 Incidentally, the game’s animation is being done by Studio Ghibli and the music by Joe Hisaishi. You can see the TGS trailer for the DS game here. And, although it’s a tenuous connection, Shigesato Itoi and Studio Ghibli are on extremely close terms. In any case, it’s definitely looking like this EarthBound-ish screenshot has something to do with this The Another World thing. We’ll have to wait for more details first to figure out the full story of what’s going on, like why they’d specifically choose EarthBound-style graphics and why they’d release a teaser image meant to give the wrong impression. Anyway, I’ll try to keep on top of the story. If anyone comes across any info, let me know! The best way to get my attention is through here; otherwise, sometimes blog comments get stuck in spam or moderation and I won’t see them for a while. 82 Comments to New EarthBound “Another World”? Well, releasing this image DID give them a lot of publicity, even if it isn’t EarthBound related. This picture has appeared on other site, like Joystiq and Kotaku. If this _is_ at all even slightly EarthBound-related, it sure doesn’t seem like Itoi would divulge the latest game this way. Well , they DO look similar. But still , why is it so similar to EarthBound? There must be something , right? Well, at least no one got their hopes up, right? Holy moly, now that I look at it clearly it sure does look a lot like Earthbound. Probably an affectionate homage or send-up of EB, I’m guessing. i was right you see it? wow!,roido wasn’t liying is true that isn’t Earthbound!!! Looks like it’s time for a sundae. There is just art over there? That things weren’t screenshots? Also, Another World is for SNES. DanteAMD: Pretty sure that’s a different game. sundaes! all you lurkers beat me to saying that. Well, I guess that solves it. Uh… I’m the only one who wasn’t disillusioned with these news then? Wait, if this isn’t a Mother game then there is chance I will never play it. 😐 Darn. Maybe that guy is actually just a NPC that resembles a lot to that kid… right? This is rather upsetting, although I kinda’ figured that it wasn’t a new Mother game, I’m not sure of how I feel about this. Especially considering that I don’t own a DS, nor do I intend to get one. Even if it isn’t Mother it still looks cool. I would like to see more of it. I justed watch the trailer and this game is an RPG oddly enough, then again its probably just another similarity. Well, I’m gonna play it anyway. I remember seeing those trailers when I was watching for news from TGS, and the resemblance is uncanny. Considering Another World seems to have this universe/dimension jumping bend to it, the game on ROID probably is a side story involving getting trapped in a Mother-like, tribute intended world. Or maybe even a bunch of different kinds of worlds with different graphical styles and this is just one of them. I hope it’s bigger than that, at least, though any tribute would be cool. It’s not mother related, but the graphics obviously had inspiration from mother. I plan on buying this game when it releases for the DS, and if it does come to America, I’ll be sure to that one too. @Diablow: That is really freaking interesting. Sorry for the double post but I’d like to guess that they could be using a “Mother” style system because the ROID spin-off is actually going to handle some heavy-handed stuff concerning the main character’s loss. Which is all very relevant to Mother. No. There’s no way that anything that looks THAT MUCH like EarthBound can NOT be related to EarthBound in some way. No matter what it is, though, if it takes place in the world of Mother, then I am DEFINITELY playing it. Those are Mother graphics. Period. Speaking of which, does anybody (Mato?) know who is responsible for this graphic style? Like, who designed the majority of Earthbound/Mother 2 to give the game it’s signature look? Whoever THAT guy is, he must be involved here. I don’t care if this is technically a “Mother” game or not…any RPG with graphics like this is a must play. The credits for both M2 and EB are here for reference. But it’s not clear who was responsible for the map graphics. In any case, with this much EarthBoundness to this game, I wonder if the gameplay has any EarthBoundness to it too. ALSO…I’m checking out the screenshots for The Another World and the main character appears to be a 3D model against detailed 2D backgrounds. The in-game art style and anime cut scenes appear to be their own game, while this mystery screenshot appears to be from a completely separate game, despite the eerie similarities between the characters. We really know so little about this game…it’s much too early to get excited OR disappointed. These are clearly graphics from a Mother game…and what that means, time will tell. Well, they got me I am gonna buy another world, but I would had preferred the earthbound style version over the Gibli version on my DS. Vannesah: Yes, wow, I was pretty sure it was for SNES. And yeah, now I believe is a different game. -Programmer grabs some images from his favorite rpg for placeholder art. -Newbie artist given the task of replacing the placeholder art just pretties them up instead of completely redoing them. -No one has the heart to tell to redo the tons of art he did and theres other stuff to be done anyways so they put off redoing it. -The game nears release date. It never gets redone. I AM IN DESPAIR! THE FACT THAT THIS MAY VERY WELL NOT BE A NEW MOTHER GAME HAS LEFT ME IN DESPAIR! In other news, Dragon Quest IX is lookin’ pretty hot, huh? That would be funny. I’d do it, but… I can barely draw for BEANS. I don’t think thit has nothing to do with Mother, sadly. I think the creator’s just a fellow fan. But not a very good one. He should be making Mother 4. D: ZETSUBOU SHITA! If it takes place in the Mother world, then it IS Mother 4, technically. There is about a 75% chance it’s this Another World thing. But I don’t care, I’m playing it anyway. Besides, Another World in general seems like a great game. uuuuhhhh Pip, you do realize that it’s not confirmed that Itoi is even working on this game at all or were you making a joke that went over my head? The fact that the pic is obviously a mock-up leads me to believe it has nothing to with Another World at all. I’m shocked people still think there’s a connection. That being said, Another World looks like it’ll be fantastic. Can’t anyone just be happy with that? You know, I had studied Studio Ghibli in a film class last semester, and I all could think about was how beautiful a Mother 3 film adaption done by them would be. Maybe it’s a cool Mother VS. Another World crossover thingy… I dunno, the graphics are just too similar to dismiss this just yet. Could it be a cell phone version of the game? I love Studio Ghibli for thier wonderful anime films made by Hayao Miyazaki and I like some of Levels 5’s games so this “The Another World” game is good news for me, hope it turns out great. 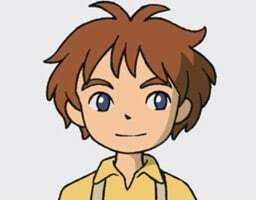 I bet that the MOTHER like-style graphics(whatever its real or not)for the game is maybe a little joke or something because of Itois connection to Studio Ghibli,who knows? Either way the game itself has clearly nothing to do with the MOTHER series. Hotel-Mario from youtube poop: NO! I’m glad this was was solved, however… It seems that my comments made someone angry, and my IP adress was banned or something, since i can’t access this site, Mato’s or Starmen. Right now i’m using a proxy. You see whenever i try to access i get the conection failed page, and since it’s only on these particular sites i’m suspicious. What’s up guys? It’s because i’m not registered?, It’s because of the two names? That was an accident. Or is it another thing althogether? I don’t have anyone banned. Both sites have the same host, so it’s a connection problem on your end. This makes more sense. But the graphics look so alike! I mean they look incredibly close! Well, if this image IS from anew EB game, then wouldn’t the hero be wearing a striped polo like Ness/Ninten/Lucas/Claus before him, or maybe it would be like Mother 3, and changes the main characters during certain points, like Flint and Duster, or maybe it could be a remake of Mother 1 or 2 and they gave Ninten/Ness a new look, after all, the map graphics appear to be in Mother 1/2’s isometric style…..
Like if the Trix Rabbit will ever get the trix, the maning of life being 42, or how many licks it REALLY takes to get to the center of a tootsie pop, we may never know if this is a Mother game or not………. To know for sure, we would have to ask none other than Shigesato Itoi himself………. The Trix Rabbit will never get the Trix, even though he gets to be on the box. That’s because he’s nothing more than a character designed to get you to buy Trix. If the Rabbit got Trix, then that would be a BORING commercial. That’s… a lot of ellipses. The trix rabbit has in fact managed to eat some Trix cereal. Despite the thundering evidence of this being The Another World, the trees are EXACTLY like the trees in Earthbound. They must be ripping off Earthbound’s graphics at least. I hope we have another youtube contest this year! This one does not look like EB at all…. That’s because that’s the DS version. Hey, Mato, i cant find info about that version of The Another World. Cell Phone, maybe? As already mentioned, the version that looks like EB is for the ROID game service, which will work on both computers and phones. No new info about this alternate version has been published anywhere, which is why you can’t find any info. Anyways, i found a Earthbound sequel trailer (http://www.youtube.com/watch?v=6vvXAHLuEOE) and a Mother 3 sequel (http://www.youtube.com/watch?v=EyBrZv4AxL4&feature=related) They are great!!! 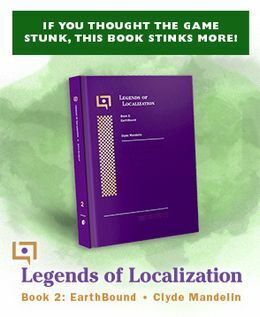 First, Mato, great site and great job on the Mother 3 translation. I know it’s been a long time, but I never got to say thanks for it. I don’t play many games anymore, but probably one a year I’ll play through Earthbound because it’s just that good! Keep up the good work. Anyways, just because a game shares similar graphics doesn’t mean it’s Earthbound related. As I recall, there was a DS game, I’m pretty sure made by Suda 51, that had graphics also exactly like Earthbound. Can’t remember what it was called, something about a robot, I think. Suda 51 game with earthbound looking sprites? Yay! The trees are the exact same as earthbound trees. The face of the character bears a resemblance to many mother sprites. The similarities are just too uncanny to disregard this. Here, I did this comparison of the two sprites. The main character of The Another World does not resemble the character Ness. No, actually, the amount of pixels used for the characters is EXACTLY THE SAME. The amount of pixels for the mouth and eyes, and formation of the face.. everything is the same. I have a feeling we need to check this game out before we pass it off. If it LOOKS like a Mother, and it smells like a Mother, and it acts like a Mother….then it’s The Another World. Sorry mates, but until we get more official screenshots and proof that either a) this spin-off is using Mother’s graphical style, or b) this is just some weird mock up (or the ever hopeful c) new Mother title) then I’m not biting on this The Another World thing. It’s just too damn similar. I hate this! It bothers me! The screen shots bushes, flowers, grass, mailbox, and sprite looks just like EB. How dare they! yo yo ma mother is a mother in another world LOL BUT MORE Seriously Itoi was the voice of dad in totaro so maybe he is helping? Well I for one and excited about a -spirtual successor- to Earthbound. Yaaay, TV Tropes. I think you’re right, anon. It’s cool any way you put it. 8D This game will be like the lovechild of Itoi and Miyazaki?! God, if there is a God, let this game come to America… in English. Neat, maybe if NOA dont think this is an Earthbound game then ill buy this. It looks like professor Layton! If a character resembles one from EB then the fans will be happy,if there was a Cameraman says “Fuzzy Pickles” In the game then i think Some EB Fans will actually explode. 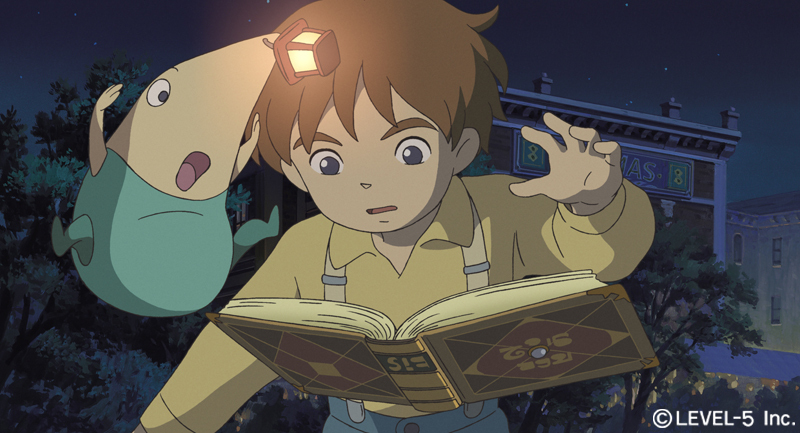 I know it’s late but that’s Ni no Kuni. 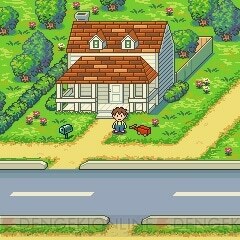 Although, I don’t recognise the first Earthbound-y picture. Same. I never knew about that picture before it came out. It is quite Earthbound-y though.